Ayyappan is a Hindu deity worshipped in the southern states of India, particularly Kerala and these are photographs of the devotees of this God. They usually wear black and in these photographed they are wearing black lungis mostly. The lungi is the ethnic male dress in South India. 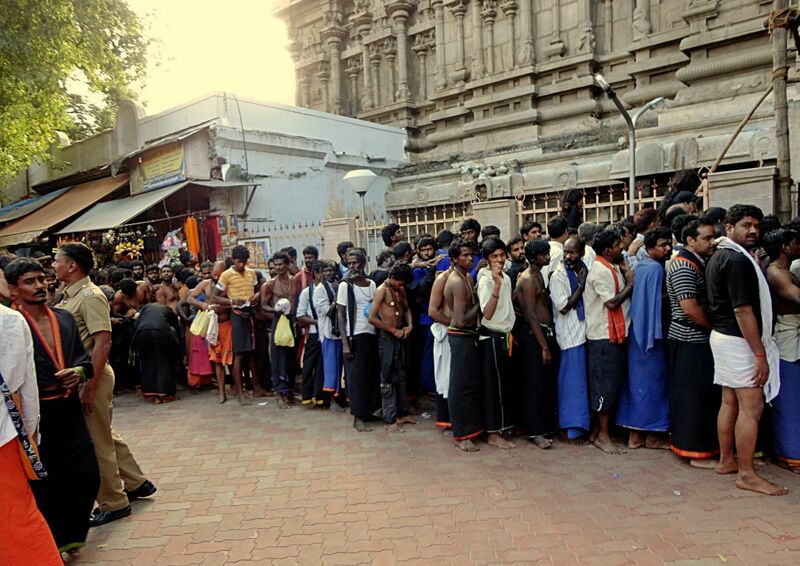 Here are some Ayappa devotees lined up outside a temple in Madurai. Ayyappa worshippers are predominantly male or perhaps only male. I have not seen any female devotees. 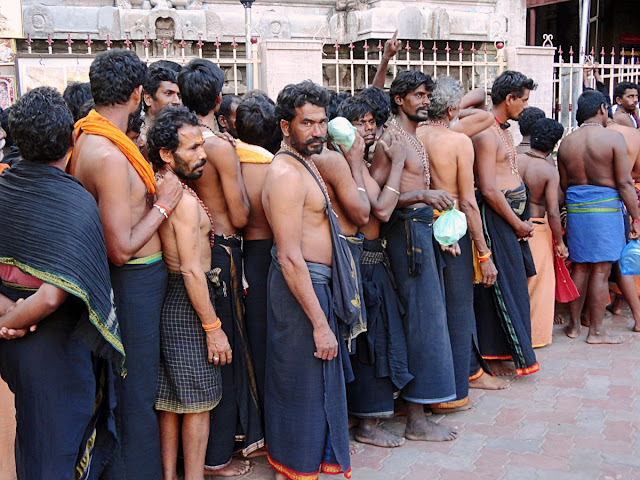 A closer look at the Ayyappa devotees standing in line outside a temple. They are wearing black or dark lungis and are bare-chested except for strings of holy beads.